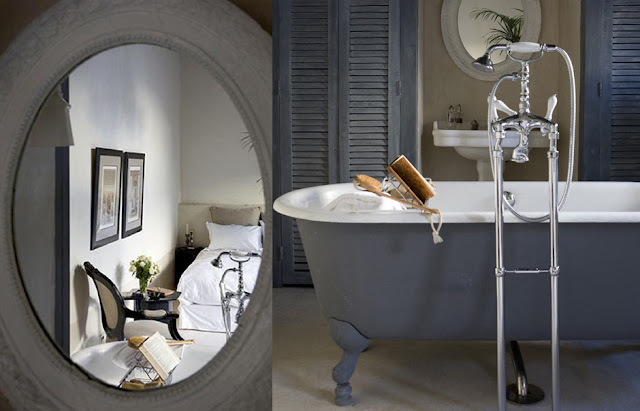 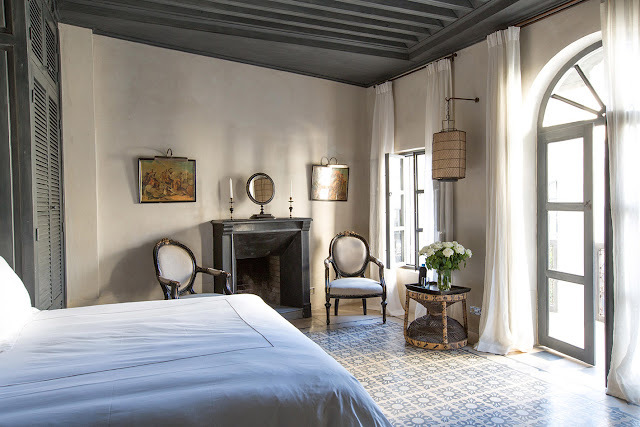 Situated in the heart of the old medina, Tarabel is the grand project of Parisian couple, Leonard and Rose-Marie Degoy. 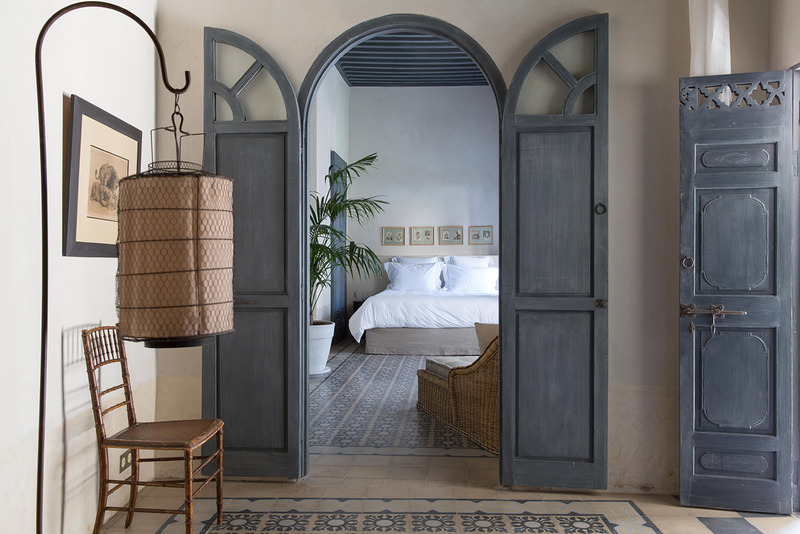 Together with the interior designer Romain Michel Menière the couple brought an unmistakably French twist to the traditional Arab-Andalusian architecture. 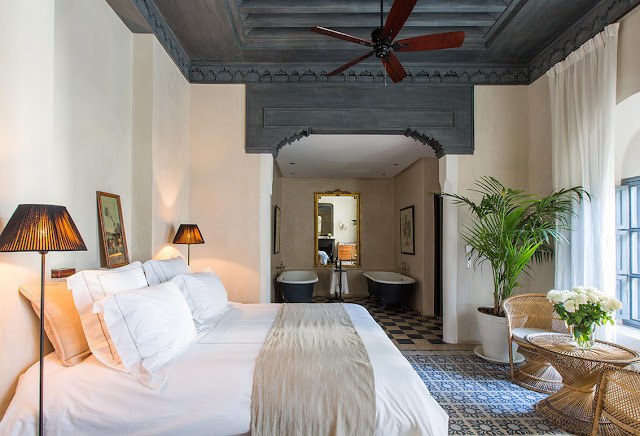 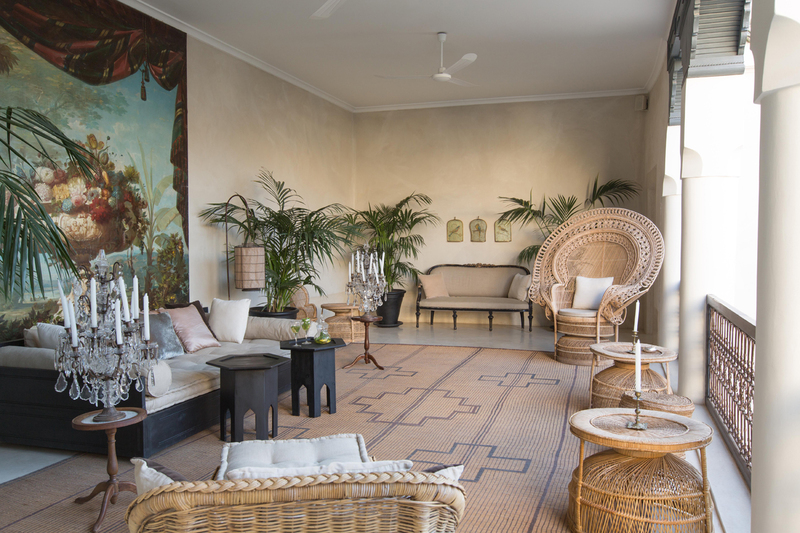 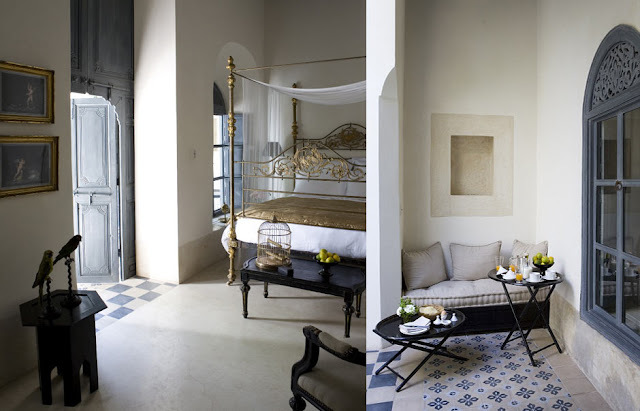 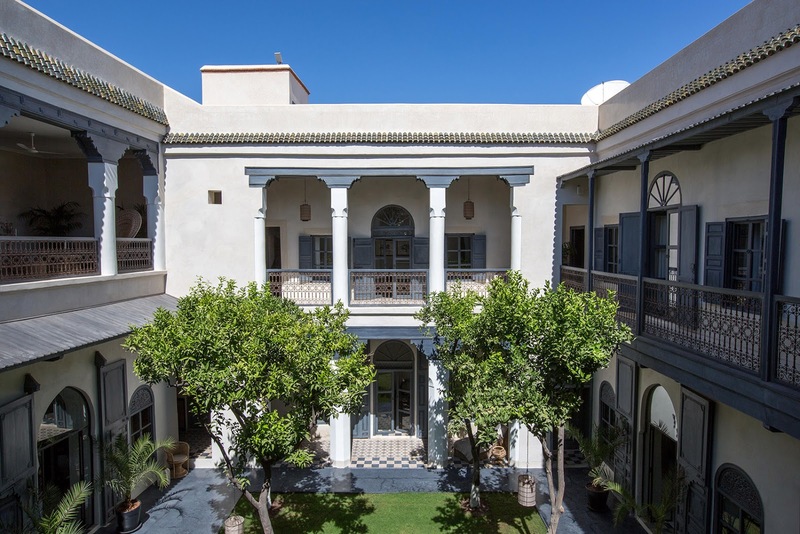 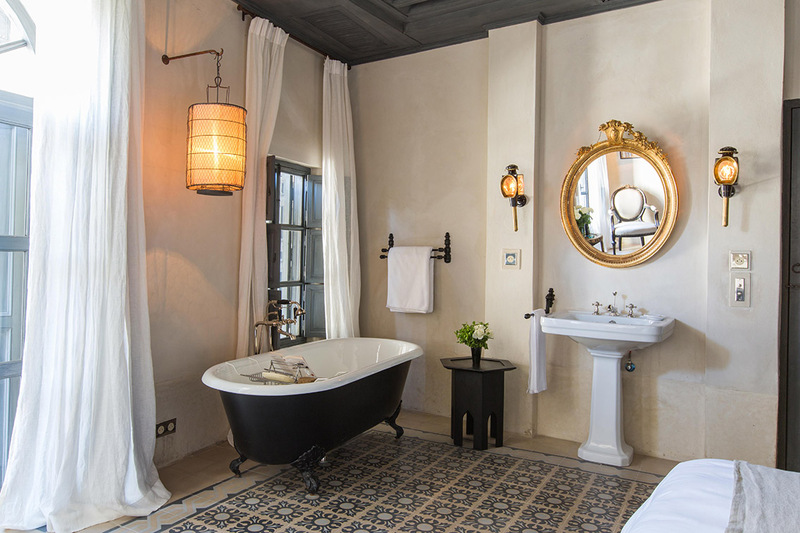 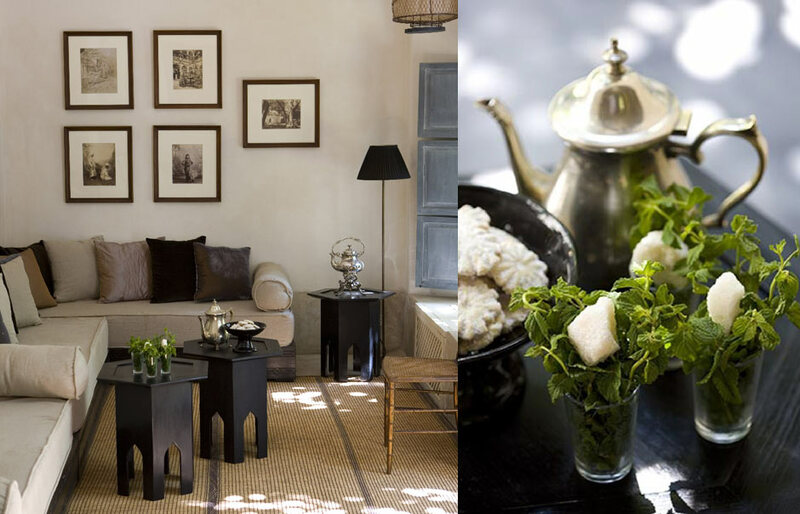 Filled with heirlooms snaffled from the owner’s family château, Riad de Tarabel and its French colonial-feel rooms are dotted with bamboo, cedar and rattan furniture, traditional tadelakt tiling and souk-sourced antiques. Instead of the typically Moroccan decorative details, the designer chose to set the interiors in a neutral palette of beiges, taupes and soft grays. Not quite the 1001 nights stay we expect when going to Marrakech, but definitely one of the most beautifully designed hotels you should visit while for those looking for elegance and luxury.